Jennifer Strange is, above all, efficient. That's no small matter when you're running an employment agency for sorcerers and others will magical powers. That's right, she finds jobs for wizards. Keeping track of the spells, fortunes, and other magical acts (all of which require a form, usually filled out in triplicate) is more than a full-time job. When the royal soothsayer predicts that the last dragon in the Ununited Kingdom is to be slain next Sunday at noon, Jennifer has even a little more to handle. 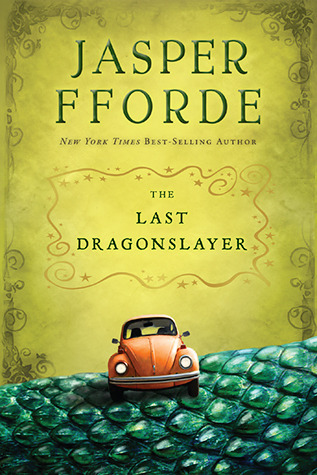 The Last Dragonslayer is a wonderful mix of the modern and the magical, with a heroine and a supporting cast who play their parts to perfection.